Our sun-ripened organic avocados make the best guacamole. We tend to choose Hass avocados for their taste. Buttery but delicate, they’ll add rich flavour and goodness to salads, sandwiches and smoothies. For an easy meal that’s good for you too, grab a slice of rye toast, top with mashed avocado, a squeeze of lemon and a scrunch of black pepper. Our avocados are grown in Spain and Peru. Variety Hass. The main European season is from October to April. 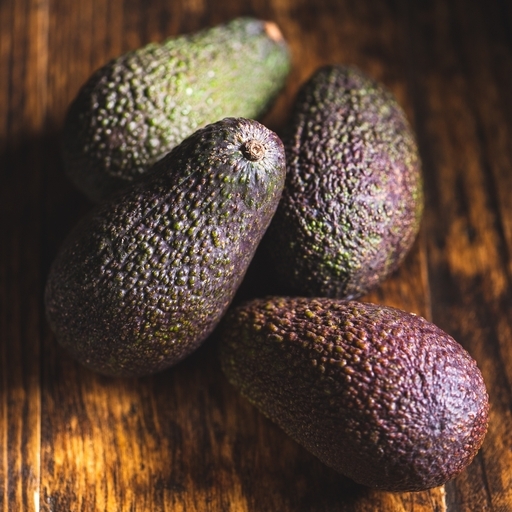 In many countries avocados are used for milk-shakes or added to ice creams, but in the UK they are more commonly used for guacamole or in salads and sandwiches. Try mashing with lemon juice, salt and pepper and spreading on toast. Avocados will ripen after picking. To speed up ripening put in fruit bowl with a ripe banana.